Roomies Property is backpackers accommodation, it is safe, modern and clean, right in the heart of the city (Roma-Condesa). We are in the most entertaining and attractive area of Mexico: bars, restaurants, discos, etc. 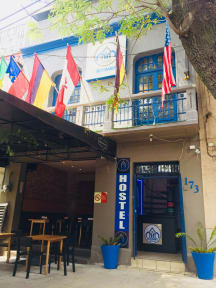 We are located 30 minutes from International Airport, 15 minutes from Historic Center, 30 minutes from national bus station, 10 minutes from Revolution monument , 15 minutes from Anthropology museum and 15 minutes from Chapultepec wood and its castle. Check out until 12:00 . We do not accept customers younger than 15 years of age with out adult. A equipe é simpática e ajuda bastante com informações. 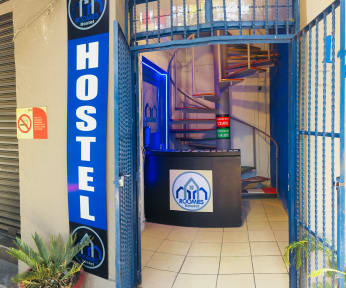 As instalações são boas, mas só há um banheiro feminino e um masculino para todo o Hostel. Os quarto são muito pequenos.